BabyCentre has unveiled the top 100 boys' and girls' names of the year – revealing what’s inspiring parents in 2017. The UK’s most trusted site for parenting information has studied tens of thousands of parents’ choices for their new arrivals over the year, to reveal the latest trends as well as more unusual naming choices. Extreme nature overpowered flowery names, parents took inspiration from British bad boys and popular culture made its mark on the charts yet again, with ITV’s surprise hit Love Island influencing BabyCentre parents. Gender-neutral names are also becoming more mainstream than ever before as 2017 saw the gender debate take centre stage. 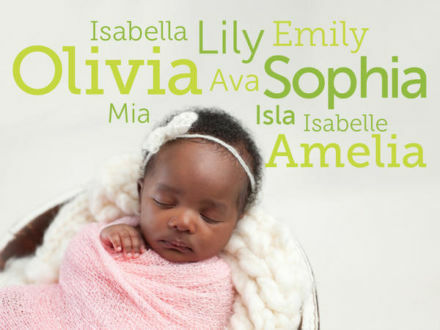 BabyCentre can reveal the top 20 most popular gender-neutral names of the year, and how they are split between boys and girls. For the first time, BabyCentre also compared its top 30 baby names of the year with data available from 20 and 100 years ago, to see which names have stood the test of time. Only one girls’ name appeared in the top 30 for 2017, 1997 and 1917 while six boys’ names are as popular now as in previous generations. *The BabyCentre charts combine names that sound the same but have different spellings (e.g. Lilly and Lily) in order to give a true measure of baby name popularity. The chart does not combine variations on the same name that do not sound the same, e.g. Ollie and Oliver.